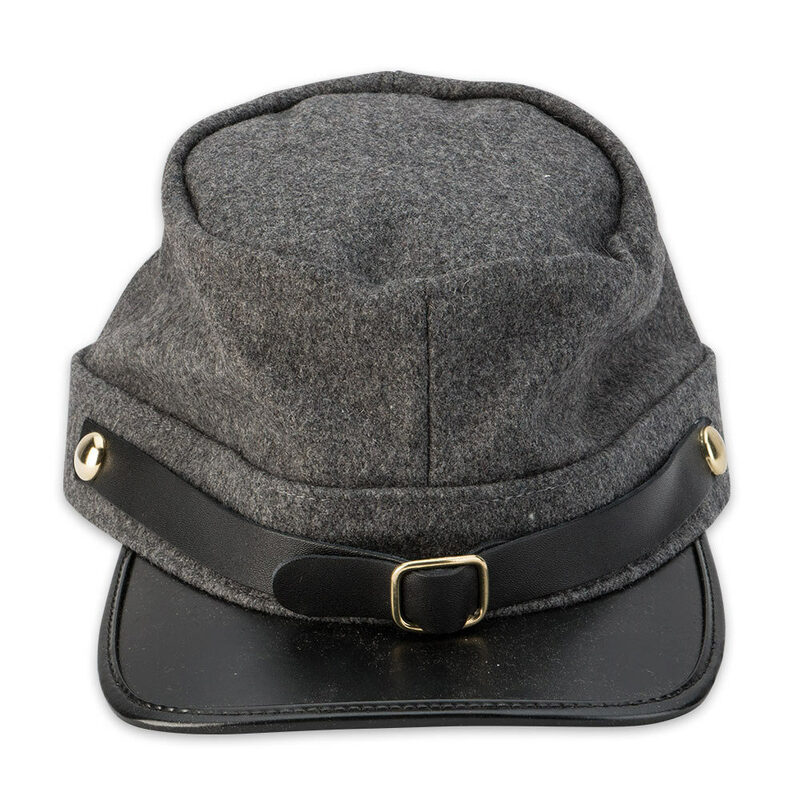 This civil war kepi hat is perfect for collectors and reenactors alike. 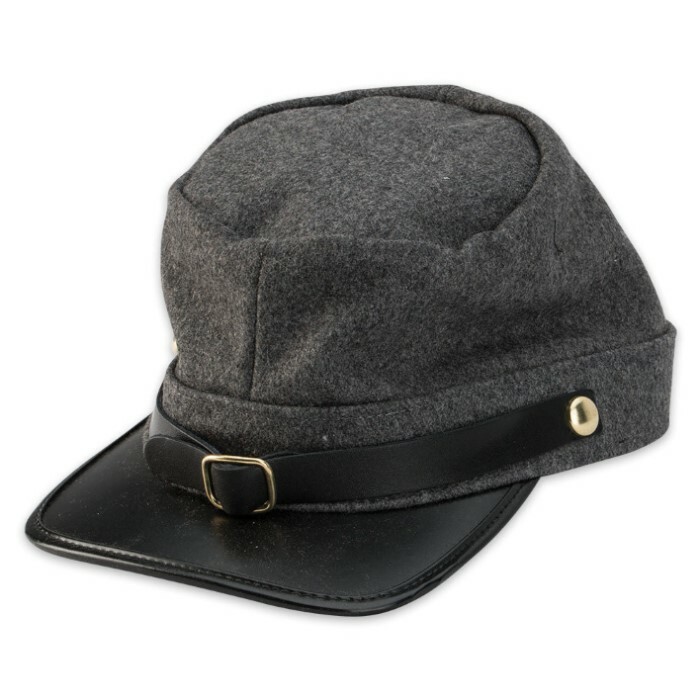 It features soft wool construction in a classic design with gold-colored metal accents. An adjustable snap back allows you to fashion the perfect fit. True Swords is a great website, and I'm a huge fan of it. 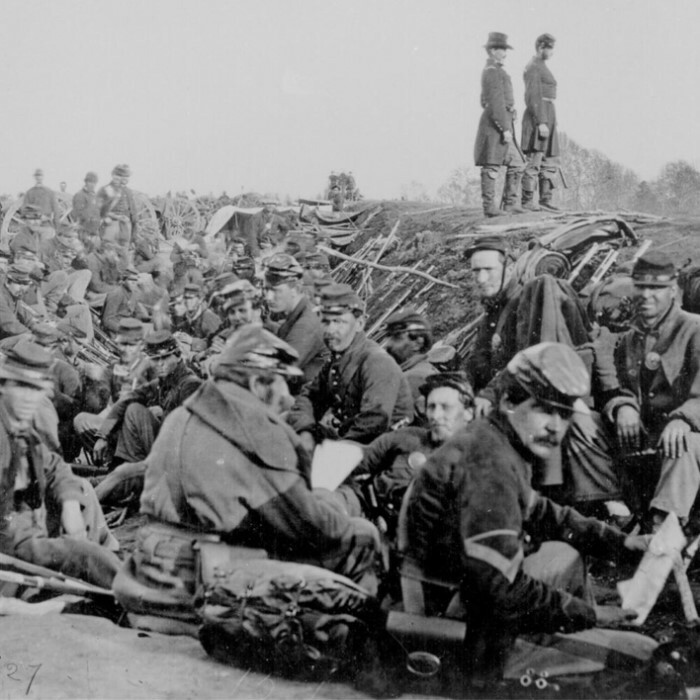 However, this is not a good Kepi at all. Straight leather without padding or the traditional fold in the top. But if you're looking for something cheap, then this is a decent buy. I'd check for better ones online though.